The products we use have always been a hallmark of Color Theory. While we don't have any contractual agreement with any one paint company outside of our contractor rates I think it's pretty obvious who we favor. We want every home owner to experience the best customer service we can offer and the products we use are the lasting testament to that product. After all, you can get a great deal and even like a guy who paints for you but in reality "the bitterness of poor workmanship remains long after the sweetness of a good deal is forgotten". That's why we choose paint that lasts, and that doesn't leave an imprint. Benjamin Moore has the solution for quality of finish and environmental friendliness. They really do. You can choose from a variety of zero-voc Benjamin Moore paints when buying from us. Today's featured product is "Natura". "Natura paint has been named Product of the Year for 2015. Product of the Year is the world's largest consumer-voted award for product innovation where winners are backed by the votes of 40,000 consumers in a national representative survey conducted by research partner, TNS, a global leader in consumer research. Natura has taken home the top honors for the interior paint category. 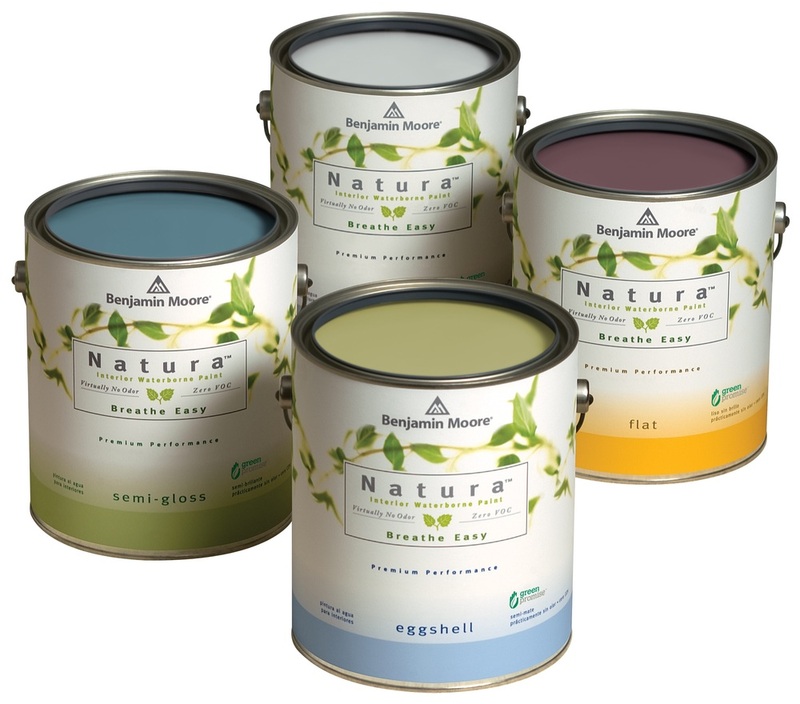 Natura paint continues Benjamin Moore's commitment to providing the most environmentally friendly paint. Natura goes beyond zero VOC to offer zero emissions,* making it a safer paint for your family and the environment, all without compromise to performance or color selection. Commitment to the best home products is why we choose Benjamin Moore and they choose us!